A potter wasp looks out over goldenrod flowers. This potter wasp with its pointy mandibles may look menacing, but it was rather benign and unconcerned with the nosy photographer and his camera. 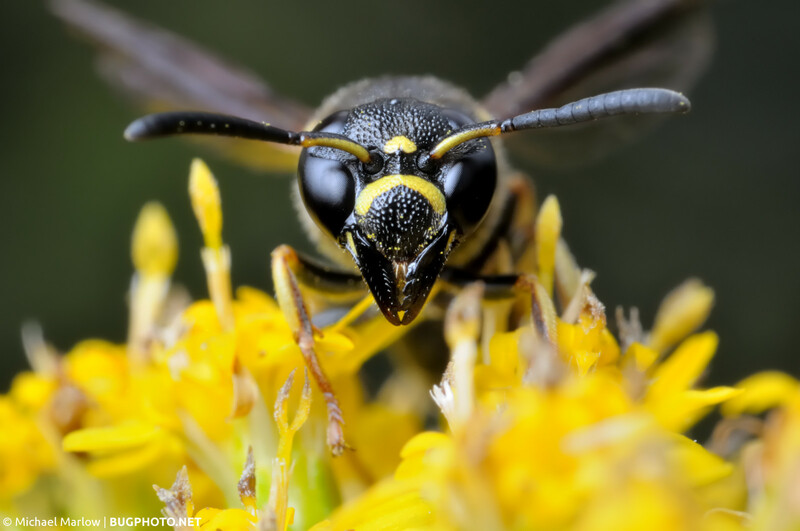 Posted in WaspsTagged Eumeninae, insect portrait, macrophotography, potter wasp, wasp, yellow and blackBookmark the permalink.